Please keep in mind ESA’s meeting Code of Conduct and apply it to your communication online (and in person!). Harassment, intimidation, or discrimination in any form will not be tolerated. We ask that you do not photograph, video, or audio record information during scientific sessions (talks and posters). Special arrangements to photograph or record sessions, with explicit permission from presenters and ESA, can be made through the meetings director, Heather Robidoux, but must be pursued well in advance of the event! [Photography at social events, in public areas, and at plenary sessions is okay.]. There are options for sharing presentation materials without in-session photography: presenters may post slides and posters to the ESA’s F1000 Research Channel, Figshare, Github, and other online databases at any time. Download opt-out Twitter image. (Please include the opt-out Twitter image on every slide to ensure your preference is known since people may come in after your presentation begins.) Thank you in advance to everyone for following these basic guidelines for online posts of all kinds and helping us maintain a welcoming environment for sharing information. 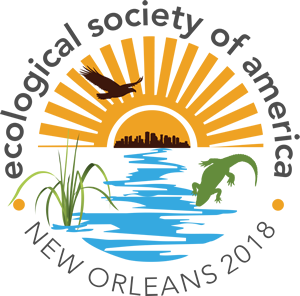 As a reminder, the official meeting hashtag is #ESA2018. We look forward to seeing your thoughts and discussion online.